10:05 a.m. – The Pittsburgh Penguins enter Wednesday’s action with the best record in the NHL at 19-8-2. Tonight they host the Toronto Maple Leafs who are coming off a 5-4 shootout win against the Washington Capitals Monday night. The Leafs are 10-12-4 on the season, for 24 points. The Penguins are streaking and will be looking to extend their winning streak to 11 games and Sidney Crosby is aiming to extend his points streak to 17 games. 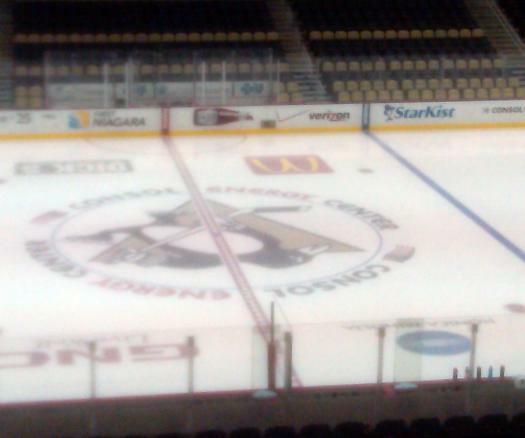 Pittsburgh hits the ice in about 20 minutes for their morning skate. 10:30 a.m. – The Penguins have hit the ice for their morning skate as the team begins preparations for the Toronto Maple Leafs. Here are the details from the skate. Evgeni Malkin as expected is not participating in the skate and will sit out for a third straight game. The Penguins are beleived to be targeting Saturday night as a possible return. Mike Comrie remains out and is also not skating. His status for the week remains a mystery at this point. Based on morning skate, looks like Marc Andre Fleury will get the start. Fleury is 11-0-1 in his last 12 starts. Notes: Alex Goligoski remains with the 2nd unit in 5-on-4 situations but will work with the 1st unit in 5-on-3 situations.